The Fast Metabolism Diet or FMD, created by American nutritionist Haylie Pomroy, is a plan that allows you to lose up to 20 pounds in 28 days, and, above all, to repair your metabolism. The plan can, however, be slightly complicated to understand. Some ingredients are difficult to find in certain countries, and it is important to be organized unless you want to spend the whole day cooking. In this guide, I will tell you how to easily follow the diet and make the most of it. Let us see where it starts! I started following the FMD in 2016 and I have never left it since, because it is a wide-ranging diet that makes me feel good. Besides, during the first 28 days (the first cycle) I lost 5 kg (11 lb). Then, in the next 28 days I lost another 3 kg (6.6 lb), and since then I have been alternating full cycles and maintenance to continue losing weight calmly, without giving up traveling or special meals every now and then. Remember to always check with your doctor before starting a new diet plan. Special thanks: Lynette of Menopause Goddess, Evanna & Christine of Petite Vie, Kirsten of My Kitchen in the Rockies, Wendy of A Day in the Life on the Farm, and Bri of SanBriego. CHAPTER 1: What is the Fast Metabolism Diet? FMD is a 28-day plan (28 days = 1 cycle) whose main goal is to repair your metabolism. Essentially, it allows you to eat healthy and diverse food generously, giving your body the fuel it really needs. Losing weight becomes just a pleasant consequence of your metabolism working like it should. In fact, having a slow metabolism is one of the main reasons that make losing weight so hard, and even if there may be a genetic element that can affect it, there are some things we should all keep in mind. Avoid junk food that slows down our metabolism: when I say junk food I mean the kind of meal full of all kinds of sugar, refined flours and unhealthy fats. These foods end up becoming our body fat. Eat more: even though it may not seem intuitive, eating more (healthy) food and more times a day is much more effective than eating only two leaves of lettuce. This is because our metabolism needs plenty of energy to repair itself, more than a low-calorie diet will give us. Exercise: exercising, besides being a natural antidepressant -because our bodies produce endorphins, which put us in a good mood- is also an excellent way to boost our metabolism and build muscle mass. Do not stress: although it may seem unrelated, stress is one of the things that may cause impaired weight. It can lead us to stress-eat, but it also prevents our bodies from working well. *Although Phase 1 breakfast it’s just Fruit + Grain, Haylie says that protein can be added if needed ( reference ). **Nuts and nut butter count as both healthy fat and protein exclusively in P3 breakfast. You can add more protein if you want to ( reference ). ***Although the book says “healthy fats/protein”, in her website Haylie specifies that P3 snacks are focused on healthy fats and vegetables. In P3 meals, however, it is important to include both healthy fats and proteins ( reference ). Phase 1 lasts two days and is designed to assimilate food and transform it into energy. In addition, thanks to the presence of natural sugars, this phase results in calming the adrenal glands. This phase has the highest GI, it is abundant in fruits and cereals with a medium glycemic index, moderate in proteins and low in fat. During this phase, at least one cardio training session is expected. You can find all my Phase 1 recipes here. Phase 2, like P1, lasts two days, and its main goal is to release accumulated fats. It is the phase with the least calories and the most proteins, and it expects the consumption of only animal proteins and alkaline vegetables. Vegetables are even more important in this phase since they help maintain our pH levels. During this phase, at least one anaerobic training session is expected. You can find all my Phase 2 recipes here. Phase 3 lasts three days and its goal is to transform the released fats from Phase 2 into energy. It is high in healthy fats, moderate in proteins, very moderate in grains, and it also contains low GI fruit. During this phase, at least one session of a physical activity that relaxes our bodies is expected. You can find all my Phase 3 recipes here. Not everybody can reach their ideal weight in 4 weeks, and that is obviously normal, especially if you need to lose a lot of it, but this is not a problem because you can keep doing this diet plan until you reach your goal — there is no time limit. Once you reach that goal, you can move on to the maintenance phase, but I will talk about it later, in the maintenance section. FMD may seem a little bit complicated at first, but it is only a matter of understanding it well and especially being organized. This plan can be as easy or as hard as you make it. If you have free time and you like cooking and trying out new things, you will be able to unleash your creativity and elaborate incredible dishes every day, thanks to the vast variety of food allowed in FMD. If, otherwise, you are a busy person with limited time, you can prepare simple meals that do not require much time in the kitchen, are easy to carry and freezer friendly. The key to succeeding and remaining calm during this diet is planning and organization! Despite its name, I do not think of FMD as a diet. I see it and live it as a healthy lifestyle with some fundamental rules that must be respected. If you are following FMD, you should respect these rules, and once you reach your expected weight you can move on to maintenance, which is more flexible. You can read more about it in the maintenance section. You should also keep in mind that physical activity is essential in any diet but especially in FMD, because it will help you have a healthier metabolism. We will talk more about it below. 1. Eat 5 times a day: the three main meals (breakfast, lunch and dinner) and two snacks (one in mid-morning and one in mid-afternoon). 2. Eat every 2, 3 or 4 hours: the minimum time between meals should be 2 hours, and the maximum time should be 4 hours. Obviously this does not apply while you are sleeping. Haylie recommends that, if you go to sleep late, you add a snack after dinner. But it should be at least two hours before going to sleep. 3. Eat breakfast during the first half hour after waking up: you should NOT skip breakfast, but you also have to eat it during the first half hour after you wake up, every day. This allows your metabolism to activate immediately. So, if you wake up at 7 a.m., you should eat breakfast at 7:30 at the latest. Waking up and getting up are two different things: if you wake up at 7 a.m. but you stay in bed until 8 trying to go back to sleep, there is no problem. However, if you wake up at 7 a.m. and you stay in bed reading, checking your phone or watching TV until 8, you are already late for breakfast. This is because your brain is turning on, and every activity (even checking your phone) requires energy. Tip: if you are in a hurry, you can exchange the mid-morning snack for breakfast. 4. Follow the plan for at least four weeks: repairing your metabolism is not a matter of one day — our bodies need at least 28 days to do so. Not stopping midway is also important, even if you reach your goal weight before finishing the first cycle. Once you finish the first cycle, you can keep doing the plan for as long as you want until you reach your ideal weight. Tip: If you plan to lose a lot of weight, you can alternate each cycle with one week of maintenance so you do not get bored of dieting (especially on a psychological level), but without reintroducing forbidden foods. 5. Respect the food in each phase: each phase has its own types of food — some of them are in more than one phase and some others are not. We should not mix them. Tip: you can check all the food allowed in the Masterfood. Please note that you may find differences between the list and the book, because the book does not contain the latest updates Haylie has been adding. 6. Respect the order of the phases: The order of the phases is fundamental — you should not change or invert it, and it should always be two days for P1, two days for P2 and three days for P3. People usually pair P1 with Monday and Tuesday, P2 with Wednesday and Thursday, and P3 with Friday, Saturday and Sunday because it is more convenient, but it does not have to be like this. You can start the diet on the day of the week that you prefer. 7. Drink 1/2 of your weight in ounces of water: to calculate how much water you should drink, simply divide your weight by 2. That is, if you weight 170 pounds you should drink 85 oz of water. This operation gives you the amount of water that you should drink every day, but if you want to drink more there is no problem, especially in summer. Remember that infusions do not count as water so you should not deduct them from your daily water intake. 8. Consume organic products: although it is not always possible, it is very advisable to eat organic products to avoid introducing unwanted chemical substances into our body. Tip: do not be fooled by the labels. Even if a label has “natural”, “without parabens”, “without added sugars” and other similar slogans written on it, it does not mean that this product is allowed in FMD or that it is organic. The only way to recognize an organic product is to check if it has an organic certification. Below are some of the most common certifications in different countries. You can read more about this here. With the terms “nitrite”, “nitrate”, “sodium nitrite”, “potassium nitrate”, “sodium nitrite” and the like. With the formulas “E-249”, “E-250”, “E-251” and “E-252”. 10. Exercise according to the phase: exercising is a crucial factor, both for our metabolism and our mood. Each phase expects a different kind of training. Exercising at least three times a week (one per phase) and following the instructions for each phase is fundamental. Read more about it in the Physical activity section. 1. NO wheat: wheat is one of the cereals with higher Glycemic Index (GI). It is also genetically modified to be more resistant, and that makes it more difficult to digest. The only exception would be sprouted wheat. 2. NO corn: corn, like wheat, has a very high GI and is heavily modified. In practice, corn is a concentrate of sugars that automatically become reserves of fat in our body. 3. NO milk or its derivatives: this means all products derived from dairy and anything that contains lactose. The release of lactose sugar in our body is incredibly fast and the sugar-fat-protein ratio of cheese is not good for our metabolism, not to mention that it alters our hormonal balance. On calcium: if you are concerned about calcium intake, I recommend reading this Haylie’s post about DMA foods with calcium. 4. NO soy: like wheat and corn, most of the soy we can find in stores is genetically modified. Still, the most important reason not to consume soy is that it contains plant estrogens very similar to those produced by our bodies. The only exceptions are tofu, tempeh and edamame, which can be consumed by vegans and ovo-lacto vegetarians, but only in Phase 2. 5. NO refined sugars: refined sugars are an amazing energy source, ready to use, but the amount of sugar that we do not use goes directly to our fat reserves. Even certain natural sugars that are much healthier than white sugar, such as honey or coconut sugar, raise our blood glucose too much and therefore are not allowed. 6. NO caffeine: this means all products that contain caffeine: coffee, decaf (yes, it contains caffeine), tea, detheined tea, theine infusions, Coke, energy drinks, mate, etc. Caffeine stresses our adrenal glands, which are responsible for keeping our blood glucose under control, regulating adrenaline, controlling the accumulation of sugar, developing muscle mass and many other things. That is why we must avoid the stress to happen. Even though coffee can help us to be less hungry, it puts our organism through too much stress, and besides, in FMD you eat enough to keep you from being hungry. Tip: if you have doubts about any product, there are many websites with lists of caffeinated food. I personally recommend this search engine. 7. NO alcohol: any alcoholic beverage will increase our blood glucose quickly because they are full of sugar. Drinking alcohol is also an extra effort for our liver and is not advisable. If you wish to drink from time to time once in maintenance, Haylie recommends that you choose organic wines without sulfites and high-quality clear liquors. 8. NO juice or dehydrated/dried fruit: dehydrated or dried fruit is full of sugar and the few fibers it contains are digested very quickly. Juices, both industrial and homemade, are not allowed because all their fibers, which slow down the entrance of sugar in our blood, are lost in the process of making them. Tip: An easy and quick way to eat fruit is to prepare smoothies with phase fruits. , which are the only ones allowed in FMD.
. Konjac is an Asian plant with a high amount of fiber. You can buy them on Haylie’s website too. 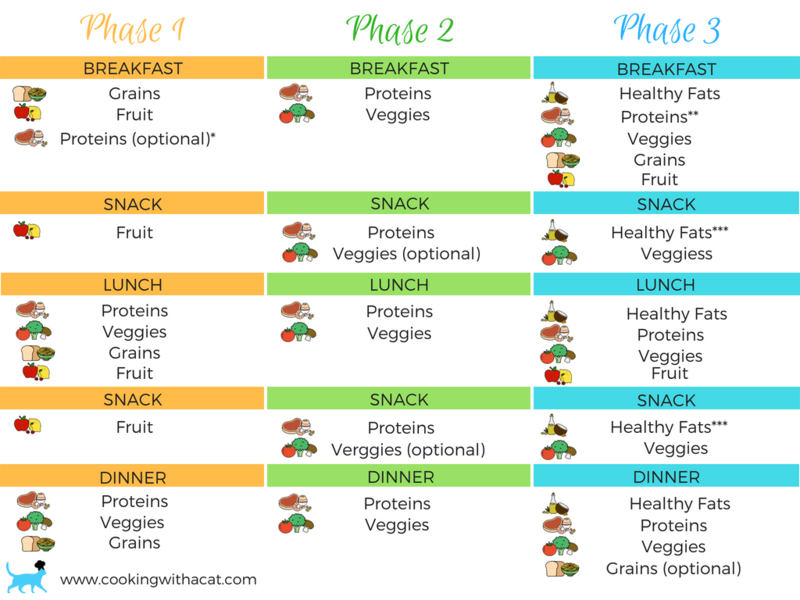 Just as each phase has its specific food and food plan, it also has its physical activity. Exercising is essential to lose weight because it crucially helps to accelerate our metabolism. In the book, Haylie clearly states that you should exercise at least three times a week, one per phase. But of course there is no problem if you wish to exercise more than that. PHASE 1: you should do at least one session of cardio training — running, cycling, aerobics, zumba, step and the like. If you wish to train at home, you could also try jumping rope. PHASE 2: you should do at least one session of anaerobic exercise, which could be weight training with heavier weights and less repetitions. If you wish to train at home, you could also try push-ups, crunches, squats, planks, etc. preferably adding weights. Tip: if you can not do classic push-ups, remember that you can do push-ups on your knees instead of your feet. PHASE 3: you should do at least one session of relaxing exercise like yoga, meditating, breathing exercises or even getting a massage. For those of you who go out of town on weekends, a good option could be going out for a walk in the nature. Although physical activity is really important, it is also essential that you do not get injured. Do not try to overdo it, especially if you need to lose a lot of weight. If you are a beginner, Haylie Pomroy herself recommends that you start with 20 o 30 minutes of cardio and gradually increase your sessions until you reach one hour of training. The same applies to weight lifting: trying to lift more than you can handle is dangerous, it is better to do it gradually. I would also recommend that you hire a personal trainer if you can afford it. Unlike other diet plans, FMD has plenty of food to choose from. This makes it a 100% customizable diet plan that does not force anybody to eat something they do not like. Besides, you may be unfamiliar with many of the foods in FMD and some of you will probably eat them for the first time, so you can take this chance to discover new things. As I said earlier, each phase has its own food and its own portions, and they can not be mixed. I know -because it happened to me too- that this is one of the things people find more confusing when they start this diet, since the list of food allowed is quite long. Even people like me, who have been following FMD for a long time, can confuse a phase food. That is why I created the Masterfood. It is a free tool where you can look up the foods allowed in each phase and their portions, and it was born from the need that some fellow FMD followers and I had when going grocery shopping or cooking. I recommend that you always look for the list of food you need in the Masterfood. If you need help using it, check this link: How Masterfood works. is the most important tool to do FMD and you should always keep the book handy to solve any doubts you may have. Still, there is one crucial thing you must keep in mind when checking the list in the book, and it is that it came out some years ago, but Haylie has been adding new food to FMD. She is very active in social media and many people from different countries ask her frequently about different foods, so some of them are allowed in FMD, even if they do not appear in the book. Let me show you an example: initially, Haylie did not include rye in FMD because it was hard to find 100% rye products in the USA, but after a while, FMD reached other countries where rye is more common. Besides, the market has also changed and now it is much easier to find 100% rye products and other overall healthier options. Haylie has included rye among the allowed foods now, and you can see her most recent reply in this link. All the data in the Masterfood is based on 100% public information taken from the book, Haylie’s website and her social media. I myself have asked Haylie’s team several questions to make sure I have valid information, and every food mentioned here is linked to its corresponding reference, which I periodically check in order to keep the information updated and avoid errors. Still, if you find any mismatch between the information offered by Haylie and the Masterfood or you think I have missed an update, please tell me and I will review it immediately. I appreciate all the help or information you offer me. In FMD there are only two kinds of portions: for those who want to lose less than 20 pounds (<20) and for those who want to lose more than 20 pounds (>20). The >20 portions are the same as <20 plus half. For example: if the portion of fruit for <20 is 1 cup, for >20 it is the same plus half, that is 1 1/2 cup of fruit. And the same applies to any other food. Therefore, in FMD, if you want to lose more weight you have to eat more. You are probably asking yourself “how is that possible?”. It is because our metabolism needs plenty of energy to repair itself, more than a low-calorie diet will give us, and it is achieved by eating more. 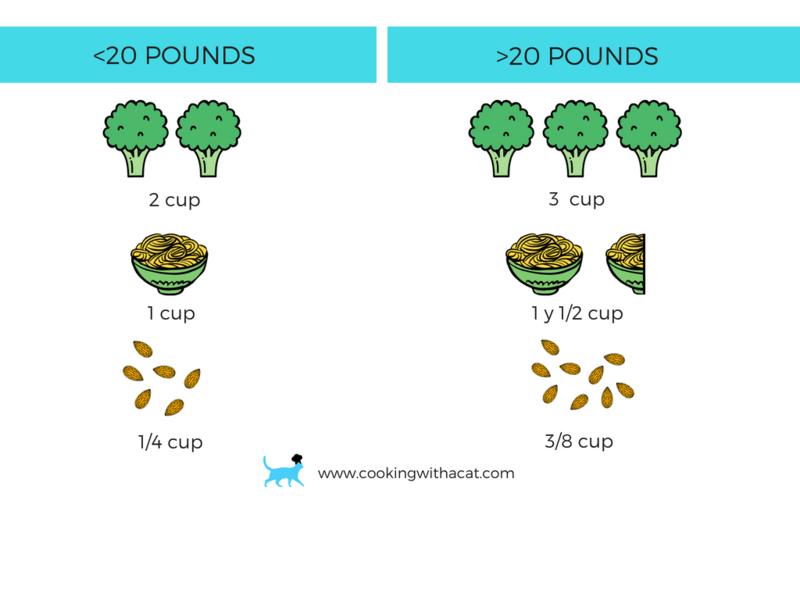 If you want to lose more than 40 pounds, the portions are the same as for >20 but adding 1 cup of vegetables in every main meal and 1/2 cup in snacks, for every 20 extra pounds. Go crazy with veggies! The servings that appear in the Masterfood are per meal. Even so, it is always important to read the notes of all foods, because there are exceptions. Here you can see how to read the notes. The phase vegetables are unlimited, the portion that appears in the Masterfood is the minimum portion that should be eaten in each meal or snack that requires vegetables, that is, you can eat more vegetables than those indicated, but not less. You can eat phase vegetables freely throughout the day, you can add them to a meal that does not include them or eat them between meals. You can mix the phase vegetables freely. In FMD, food is not weighted but measured in volume. 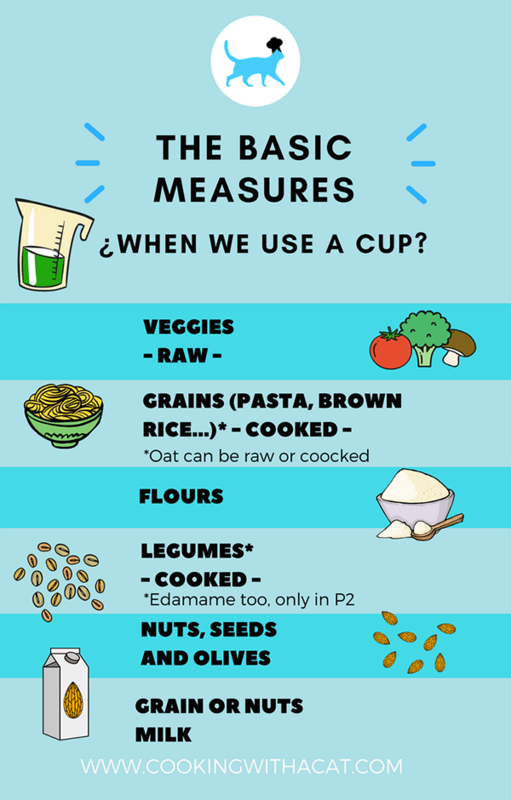 The unit of measurement is the CUP used in the USA. 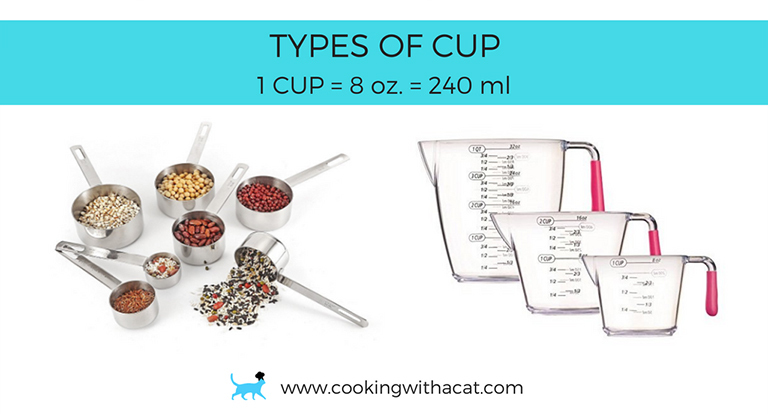 It is a standard measurement that corresponds to any glass, cup or bowl with a capacity of 8 oz (~240 ml). NOTE: 240 ml is NOT the same as 240 gr. You can look up any food in the Masterfood to see in which phase it is allowed and its portions. 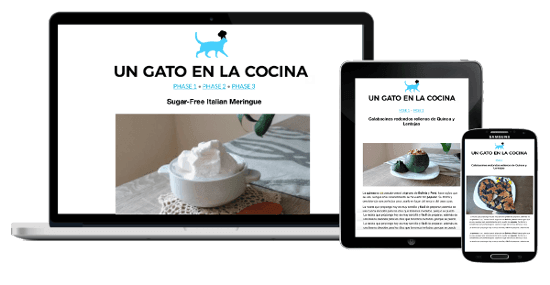 You have more than 120 recipes in this blog, all of them FMD approved. And on top of that, every week I send a new one via email. Go ahead and subscribe for free! 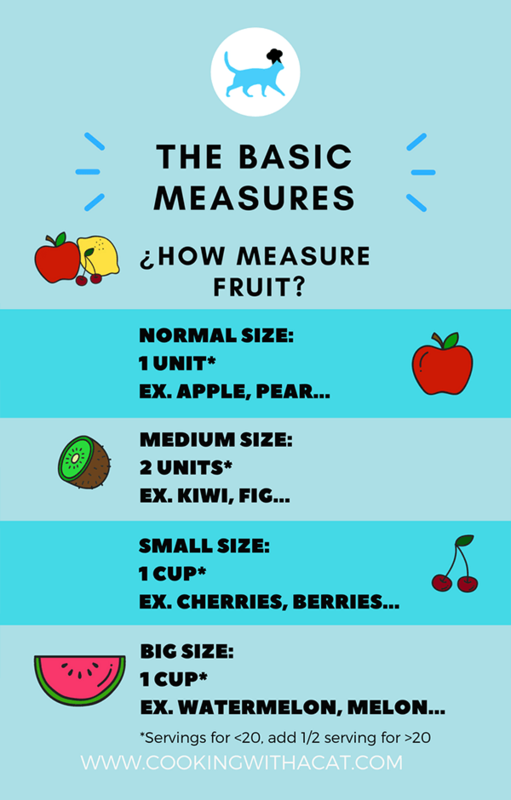 It may seem irrelevant, but waiting for the right time to check our weight is as important as respecting the diet, and that is because, as I already said at the beginning of this guide, a stressed body does not work well. We want to lose weight, that is great! But do we really think that after dieting for a day something will have changed? Actually, in some cases it is possible: in every diet the first thing you lose are fluids, but it takes a little longer to lose the accumulated fat in our bodies. Why step on the scale the day after starting the diet, then? Or the next? We are often tempted to weigh ourselves every day, but that only creates anxiety and stress. It is perfectly normal for our weight to fluctuate, even from one day to the next, and sometimes it goes up, sometimes it goes down. That does not mean the plan is not working or you have done something wrong. Many people get frustrated when they see they have gained even a few grams — they get stressed and end up missing a meal, feeling bad or leaving the diet. None of these things help. As you can see in the graph, although the weight goes up and down constantly the general trend is to go downwards. Remember that losing weight is not just about what the scale says. Especially if you exercise a lot, it is possible to keep the same weight and get thinner, because muscle weighs twice as much as fat. That is why it is so important to take your measurements and be able to really check the results. To avoid any kind of stress, Haylie recommends that you take your measurements (waist, hip, arm, chest, leg) at the beginning and the end of every cycle, and then forget about the scale and the tape measure for 28 days. Still, most of us find it difficult, so you can also weigh yourself and take your measurements once a week. Every first day of P1, for example. Tip: Whether you weigh or measure yourself, it is best to do it in the morning, before breakfast. When it comes to losing weight, women must always keep in mind that our hormones play a very important role in the whole process. That is why it is essential not to get discouraged and to accept that there are certain situations that make it more difficult for us. For example, during our period, we tend to retain more fluids, so not only is it harder to lose weight during those days but we can even gain 2, 3 or 4 pounds . In fact, all the hormonal changes that our body suffers (ovulation, menopause, etc.) drive our hormones crazy and influence our weight. That is ok. The most important thing is to be aware that there may be little fluctuations in your weight and, above all, do not get discouraged! Do not get stressed if your partner loses weight faster — it is very common. Focus on being motivated and determined to keep going. If you reach your goal before the 28 days are over, do not leave the cycle halfway and get to day 28. Keep in mind that the aim of FMD is to repair our metabolism. Thanks to the huge variety of foods allowed in FMD, this diet plan is suitable for everybody, including people with diabetes and pregnant women. They key is to know how to replace certain ingredients to suit your needs while sticking with phases and portions. If you have any food intolerance and have doubts about which foods you can eat, please check with your doctor. Breakfast: add phase vegetables and 10-15 gr of protein, such as 2 or 3 egg whites or 2 ounces of turkey bacon, to slow down the delivery of sugar to your bloodstream. Snacks: choose low GI fruit like berries, Asian pears (nashi), grapefruit or apples, and add phase vegetables. Lunch: replace your grains with a starchy vegetable such as sweet potato or legumes. Depending on your blood sugar response, you can replace the grain in both lunch and dinner, or just in one of them. Sugar control: along with your usual control, check your blood sugar level before going to sleep and again in the morning. You should get the same values, but if they are higher in the morning it means your body is somehow having access to sugar. To prevent this, add a 10 gr protein snack before going to bed. Add lots of lemon and lime to all your meals — despite being a low GI fruit, it contains some natural fructose. If your blood sugar level is still low, you can add a low GI fruit in your lunch, such as grapefruit, Asian pear (nashi) or some berries. Make sure to eat plenty of vegetables — they contain carbohydrates, although less than grains and fruit. Leeks and onions, for example, contain lots of carbohydrates. By any means: do not skip fruit, especially at breakfast. This phase fruit is already low GI. As in Phase 1, check your blood sugar level before going to sleep and again in the morning. If it is higher in the morning, add a 10 gr protein snack before going to bed. Note: if you are taking statins for high cholesterol, do not eat grapefruit. It interferes with statins. Check this article if you need more information. Remember to always check with your doctor before starting the diet. Keep in mind that, although some products do not contain gluten naturally, may have been contaminated during the cultivation or the manufacturing process. An excellent example of this is oats, but remember that there are many other foods that may be contaminated even if they are not cereal. That is why, if you are a celiac, you should pay close attention to labels and only buy products that clearly state that they do NOT contain gluten. You can read this article if you need more information. , allowed in every phase).
. Try to buy them organic if possible. Haylie says: Keep in mind that consuming many products derived from soy can slow down weight loss. If you are a vegan, in Phase 1 and Phase 3 you can eat legumes as protein. Simply respect the fundamental rules of the DMA and follow the map of Phase 3 meals. Keep in mind that 4 ounces of chicken breast have approximately 35 grams of protein. IMPORTANT: Always check with your doctor before making any changes in your diet. Follow FMD phases, but eating 5 servings of fruit every day, even in P2. In Phase 2 you can choose fruits with low glycemic index, but if your milk production decreases, change them for fruits with a higher glycemic index. We are human. It can happen that in times of distraction or weakness we simply skip the diet. If it happens to you, do not worry because there is a solution. But first of all, do not stress because stress makes you gain weight! Then you can evaluate the error. When you diet for a long time, there are several occasions when it becomes hard to follow: family meals where bringing your own food would look terrible, social events that require toasting with a glass of champagne, birthday cakes… How are you going to give up all that? It is simply impossible. Actually, one of the main reasons why diets do not work is because they do not consider human psychology. A simple solution is to stop seeing FMD as a diet and consider it a change of your eating habits. Thus, going back to FMD after a day of excess will be much easier. First you have to consider if you are in the first cycle (the first time you do the diet), since it is the one that will repair your metabolism and therefore the most important one. If you are in your first cycle: continue with FMD as usual, and on the next P1 day start counting the 28 days again. If you are not in your first cycle: continue with FMD as usual. Whatever the mistake, my advice is always the same: do NOT leave the diet. You may eat a certain food in the wrong phase, for example, broccoli in P3. If that is the case, it is a very small mistake and you can continue the diet without worrying too much. However, if the slip is eating at McDonald’s, you can do a P2 day the next day since it will help you compensate the excess, and then go back to your diet as usual. In Chapter 10 in the book you will find very interesting advice on this subject, and I recommend that you read it carefully. 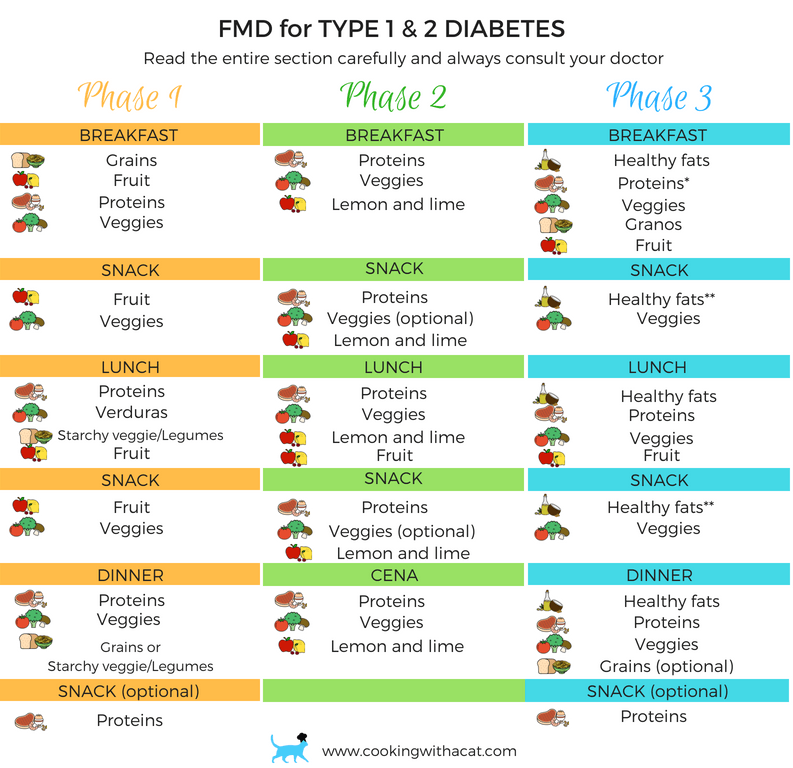 If you have already read about FMD, you will probably know about the “Maintenance Phase” or “Phase 4”. This phase is more loose because its goal is to maintain your weight by eating healthily. In order to maintain your ideal weight, it is important not to repeat old unhealthy habits like fast food or not exercising. Integrating healthy habits of FMD into your daily routine will help you during and after the diet. Remember: it is crucial that you finish the first 28-day cycle even if you reach your goal sooner than that, because repairing your metabolism is the main goal of FMD, and to do so you will need at least 28 days. I have reached my goal. Now what? If you have reached your goal, the next step would be to maintain it, and there is an extra maintenance phase or “Phase 4” designed to achieve that. Eat any of the foods allowed freely, but following the food chart in Phase 3. Avoid forbidden foods as much as possible, and leave them only for occasional consumption. If you go to parties, dinners, weddings or anywhere you know there will be unhealthy food, do not worry: enjoy your meal and follow the advice you will find in Chapter 10 of the book. Haylie says that if after finishing FMD you want to have a transition period you can still follow the phases, but adding oil in P1 and P2. Tip: doing one week or one cycle of FMD from time to time over the year can be very useful to help our metabolism. Some people do 1 week every month following the phases (P1, P2, P3), some others do a whole cycle every 3 months, and there are even people who do one cycle a year. You could read this post by Haylie about maintenance if you are interested. And now, the question you are probably asking yourselves: Am I ever going to be able to eat non-FMD foods again? The answer is YES, you can eat forbidden foods like cheese or wine, as long as they are not part of your day to day meals. It is better to leave these kind of products for special occasions and try to eat as healthily as possible every day. Haylie recommends going organic when you eat any non-FMD food, and making sure it is a high-quality product. She explains it in this post. And what about those foods that are not forbidden but also do not appear in any phase? Haylie selected the food in FMD for their micronutrients, so each ingredient in each phase is especially placed there to help us in our journey towards weight loss. Now that you are in maintenance, you can reintroduce some of those healthy foods that were not in the list, such as bananas or coconut sugar. Haylie talks more about this subject in this post. How can I make sure I will not gain weight again? Weekly: Monday P1, Tuesday P2, Wednesday P3 and maintenance during the rest of the week. Monthly: 1 week of FMD and maintenance during the rest of the month. Every three months: 1 cycle of FMD and two months of maintenance. But above all, do not forget that you can do FMD every time you need it, and you do not have to do a whole cycle — you can do single weeks. In this chapter I will teach you some quick tips I have learned over the years I have been doing FMD. In P1 and P3 you can buy cooked legumes, but make sure to read the label and check that they do not contain sugar or any other forbidden ingredient. 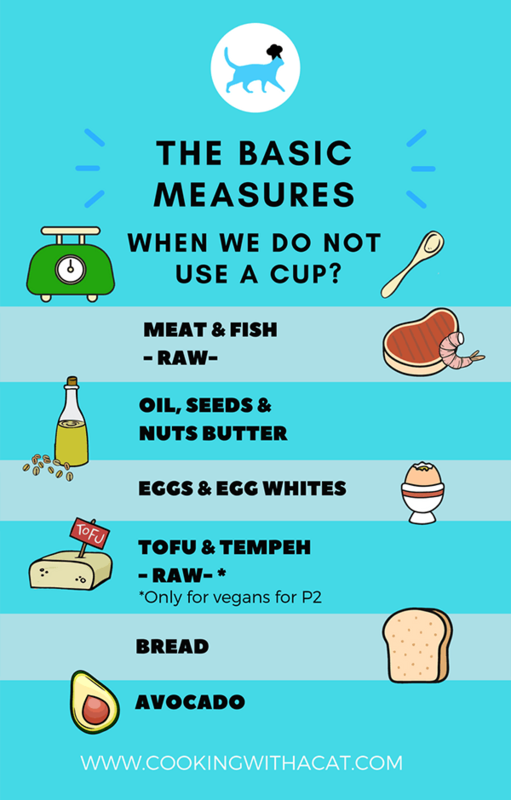 In P2, you can choose ready-made snacks, such as smoked salmon or light tuna in water, or jerky, or those that require a shorter cooking time, such as boiled egg whites. In every phase you can eat raw vegetables like carrots, lettuce, pepper, radish, celery, tomato, spinach… BUT: remember you must respect the phases. Turn the freezer into your ally: you can spend one day cooking and freeze your food portions for the rest of the week. Many of your usual restaurants can be compatible with FMD if you know what to order. Although it may be hard to respect the portions, the key is to avoid any forbidden foods and have a clear sense of the phases and the food allowed. Haylie recommends seeing the menu and picking what you will eat before going to the restaurant, thus choosing the most appropriate meal at ease. Once in the restaurant, ask the waiter to make sure the food you have chosen does not contain forbidden ingredients, and if necessary, ask them to remove oil, sauces or any other seasoning from your dish. Some dishes come with a side of fries — ask for a salad or some vegetables instead. Always avoid bread baskets. You can eat at a steakhouse in every phase. Order a salad or grilled vegetables as a starter, and meat or fish as the main course. If it comes with a side of fries, ask for a green salad or some other vegetable instead. Phase 1: remember that you should ask for oil, sauces and other seasonings to be removed from your dish, and maybe even bring your own seasoning. Avoid the bread, but bring one slice of allowed bread from home. Most restaurants offer fruit as dessert, so pick one that is allowed in your phase or bring your own from home. Phase 2: remember that you should ask for oil, sauces and other seasonings to be removed from your dish, and maybe even bring your own seasoning. Phase 3: remember that you should ask for oil, sauces and other seasonings to be removed from your dish, and then season your dish yourself using the amount of oil allowed. In this phase you can also order a salad that contains olives or nuts. Most restaurants offer fruit as dessert, so pick one that is allowed in your phase or bring your own from home. Despite what you may think, a high-quality Japanese restaurant (forget about “all-you-can-eat” places) is actually a very good option. You can order tuna sashimi (or sashimi made of any other fish allowed) and a green salad without seasoning in every phase. And for your sashimi, you can ask for tamari sauce or bring your own if you are not sure they have it in the restaurant. Phase 1: find out what rice is used in the restaurant — some of them use a mix of brown and white rice, and if that is the case, you can ask for a bowl of boiled brown rice only. Cover it with your tuna sashimi, some wasabi (make sure it does not have sugar in it) and some arugula leaves or lettuce from your salad, and you will have a delicious meal. Most restaurants offer fruit as dessert, so pick one that is allowed in your phase or bring your own from home. Phase 2: as I said earlier, in Phase 2 you can order tuna sashimi or sashimi made of any other fish allowed, or smoked salmon if they have it. If you are an ovo-lacto vegetarian or a vegan, choose edamame as protein — it is by far the best option. Ginger, daikon, bok choy and Chinese cabbage are used broadly in Japanese food and they are all allowed in P2, so do not forget to order some of them in your dish. Phase 3: in this phase you can also eat salmon sashimi and you can ask for seaweed, sesame and avocado in your salad. Another option could be wok vegetables, but you should make sure they use the appropriate oil to do it, and that it does not contain any sugar or soy. Most restaurants offer fruit as dessert, so pick one that is allowed in your phase or bring your own from home. Most vegetarian or vegan restaurants tend to choose high-quality and organic products, so they are a good restaurant choice. However, you should pay attention to the ingredients since many of the dishes contain soy. Phase 1: a very good option in this phase is a poke bowl or a salad. The base can be quinoa or brown rice and you can add vegetables, legumes or even fruit. Many salads have pineapple, mango or apple, which are perfect for Phase 1. Ask for no dressings and add tamari sauce or balsamic vinegar yourself. Phase 2: you can only eat here if you are an ovo-lacto vegetarian or a vegan. Order a green salad with tofu, tempeh or edamame and some assorted vegetables, such as asparagus, pepper, onion or broccoli. Phase 3: you can order a salad or a poke bowl as in P1, but remember you can only eat grains for dinner and brown rice is not allowed in P3. If your dish has any fruits that are not allowed in this phase, ask for them to be removed or replaced by other fruit that is allowed. Remember you can not eat fruit for dinner. Your dish can also contain avocado, guacamole, hummus, tahini, oil, nuts and other healthy fats allowed. Phase 1: stay away from bread, pasta and white rice, and choose quinoa or brown rice, which are becoming more popular, but bring one slice of allowed bread from home in case none of these options are available. Choose phase vegetables and legumes or lean meat to grill, without oil. Do not forget the phase fruit for lunch. Phase 2: choose a cut of meat or fish allowed and order it grilled without oil or any other grease, and add some phase vegetables to complete your dish. If you are an ovo-lacto vegetarian, pick hard-boiled eggs and eat only the whites. Phase 3: choose phase vegetables with meat, fish, legumes or eggs and add healthy fats such as allowed oil, olives, nuts or avocado. Add quinoa if you are eating dinner or allowed fruits if you are eating lunch. Phase 3 fruits can be hard to find in this kind of restaurants, so you can bring a bag with some blueberries or any other P3 fruit. 1. Breakfast is one of the hardest points, since eating vegetables and meat in the morning is not for everyone. If breakfast is also one of your biggest problems in P2, I recommend you to exchange breakfast for the mid-morning snack, since in P2 snacks the vegetable is optional. Choose a sweet breakfast like my Maya spice chocolate or my Cacao macaron with lemon custard. If necessary, take a multivitamin and potassium to make sure you do not miss anything. Always consult your doctor. 3. Finally, learn to manage your hunger and anxiety, and remember that cacao can help you: try this recipe. Once you get used to this diet it will become your new lifestyle, but in the beginning it can be a little complicated. That is why it is so important that you get the necessary help and support in case you need them. You can find plenty of FMD websites, groups and forums on the internet. Remember to pay attention to the sources and verify that the information is reliable. These are the sites that I personally recommend. Haylie Pomroy’s Facebook page: Haylie’s team is very kind and they always try to answer every user question. Now let me ask you: do you know when you will start? Is there any recipe you would like to adapt to FMD?